This elegant sautoir necklace from the John Hardy Palu collection features different sized sterling silver circles that have been hand hammered to create a rippled texture. For a two-toned look, one of the circles is crafted in 18kt gold. 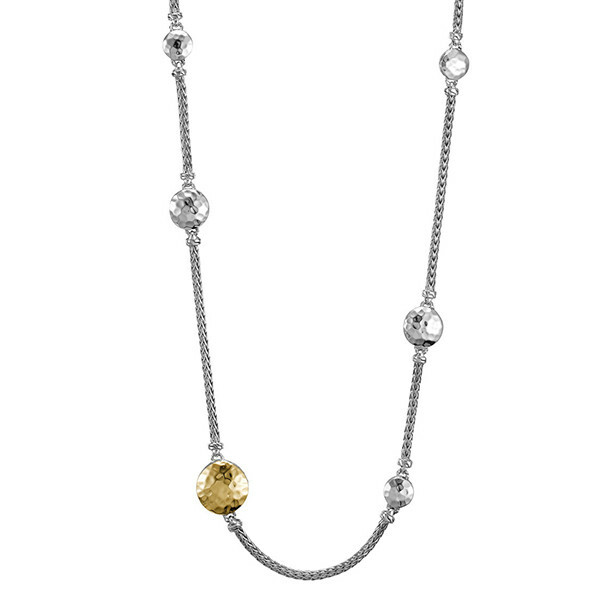 Each hammered circle has the classic chain motif carved into its edge and is fastened along the 36" chain. Pair this John Hardy treasure with other Palu pieces to complete a look that's all your own!